J’La, 2016. Photo-based mixed media, 36×48″. ©Ervin A. Johnson. 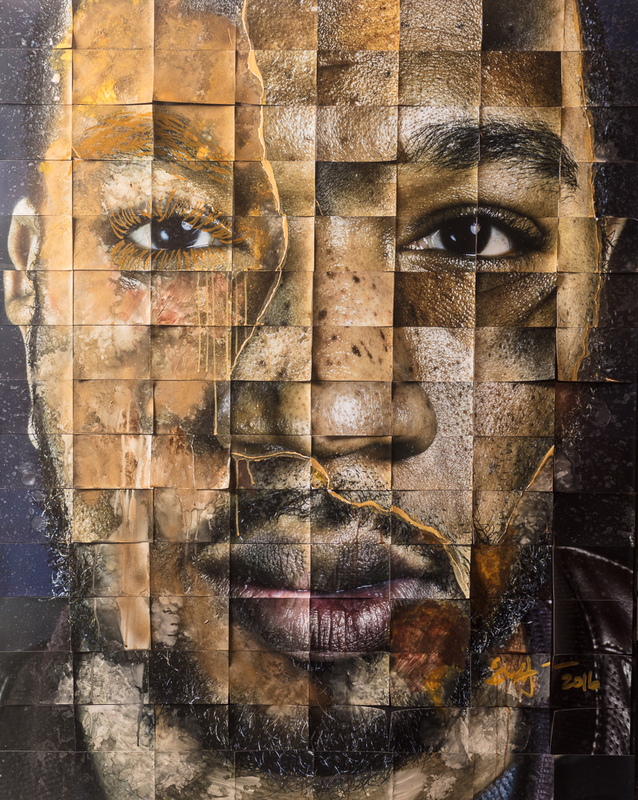 I began #InHonor as a personal response to the killings of Black people across America. To be completely honest the work was born out of guilt. All of my friends had rallied up in arms to march for Trayvon Martin and Eric Garner. I, on the other hand, was nowhere to be found. I felt guilty. I consider myself, for the most part, a conscious individual and so my silence became a burden. When the time came for me to be vocal with my peers I chose the path of cowardice. What real change would come of my presence as a young gay black man at a march in which half of my people don’t accept or acknowledge me? Still though I felt moved to do something. Whether or not I was accepted was something I had and will always deal with, I had to come to terms with that before anything else. Erik, 2016. Photo-based mixed media, 2016, 44×60″. © Ervin A. Johnson. Will, 2016. 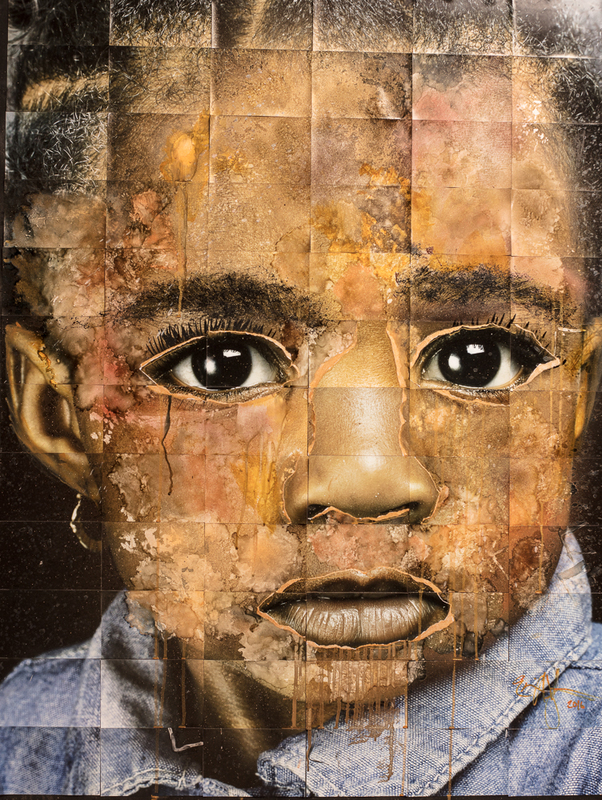 Photo-based mixed media, 48×60″. © Ervin A. Johnson. Haydee, 2016. Photo-based mixed media, 48×60″. © Ervin A. Johnson. Mya, 2016. Photo-based mixed media, 36×48″. © Ervin A. Johnson. Ervin Jr., 2016. Photo-based mixed media, 48×60″. © Ervin A. Johnson. Drew, 2016. 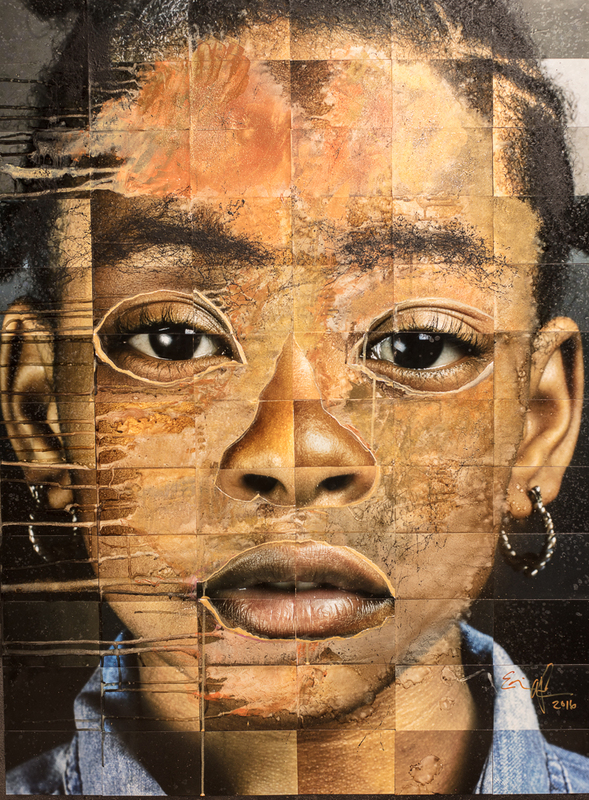 Photo-based mixed media, 48×60″. © Ervin A. Johnson. Nicole, 2016. 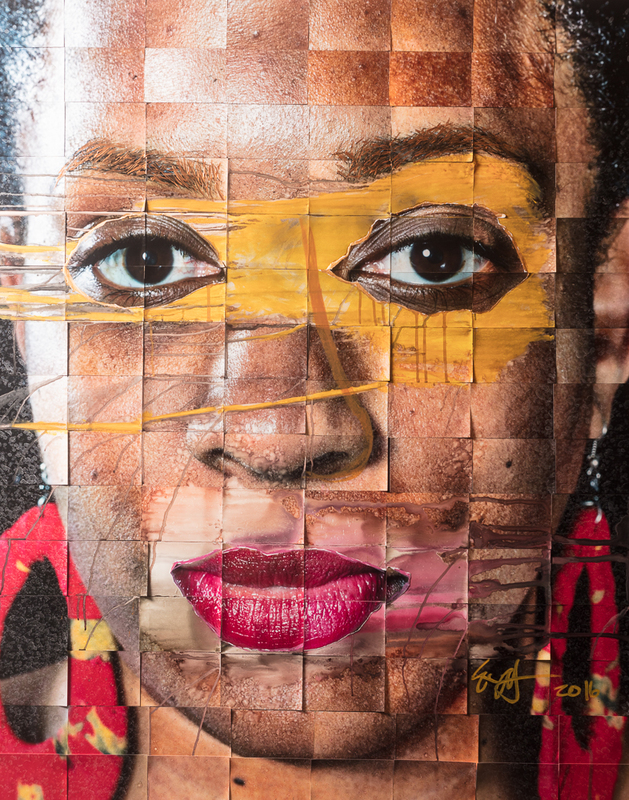 Photo-based mixed media, 48×60″. © Ervin A. Johnson. Ervin A. Johnson graduated from the University of Illinois- Urbana Champaign with a bachelor’s in Rhetoric and began work on his second bachelor’s at Columbia College Chicago in photography in 2012. He completed his MFA in photography at Savannah College of Art and Design and returned to Chicago. 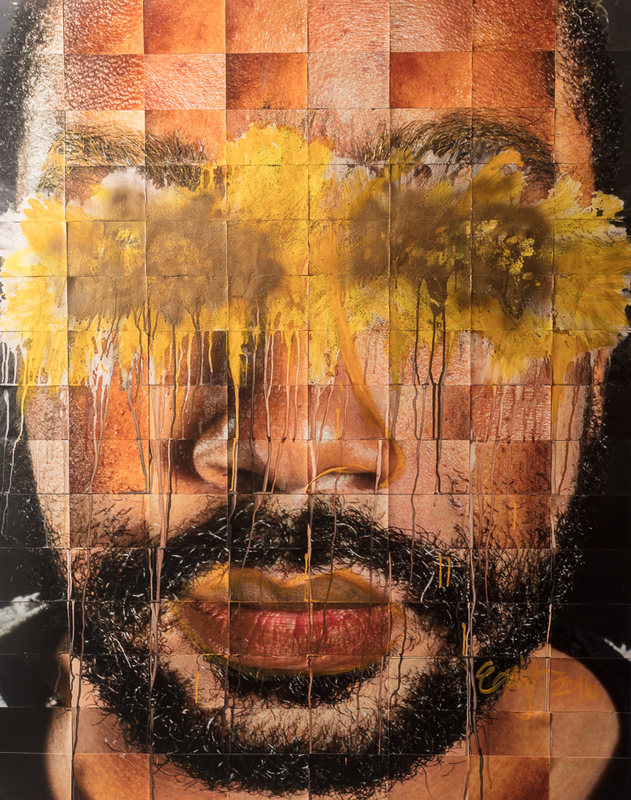 Ervin utilizes photo-based mixed media to reimagine his cultural and racial identity via photography and video. 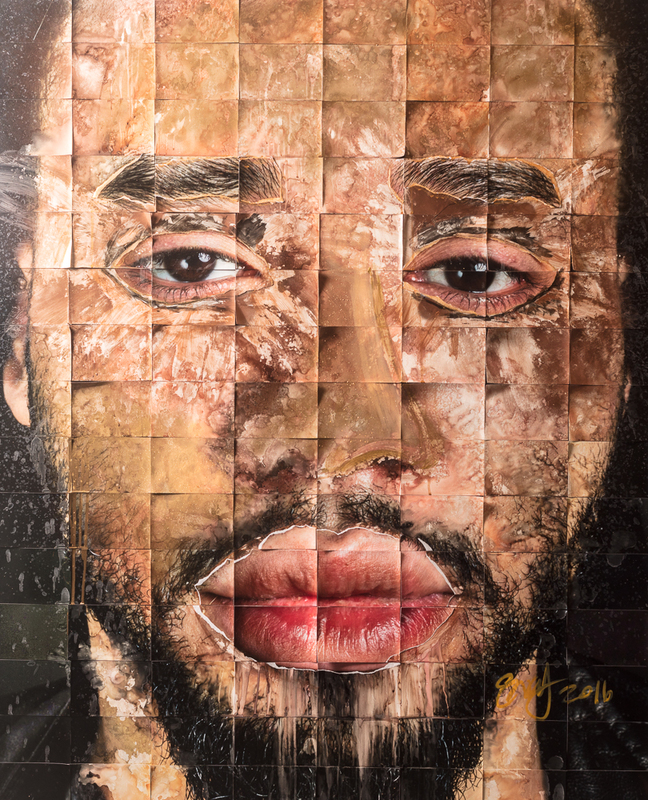 In his most recent body of work, #InHonor, Ervin pays homage to the lives lost to police brutality and racism. In 2016 he was awarded the Critical Mass Solo Exhibition Award and completed an alumni summer residency with Columbia College followed by the 2016 Diane Dammayer Fellowship, a photographic residency which partners Heartland Alliance and Columbia College’s photography department. 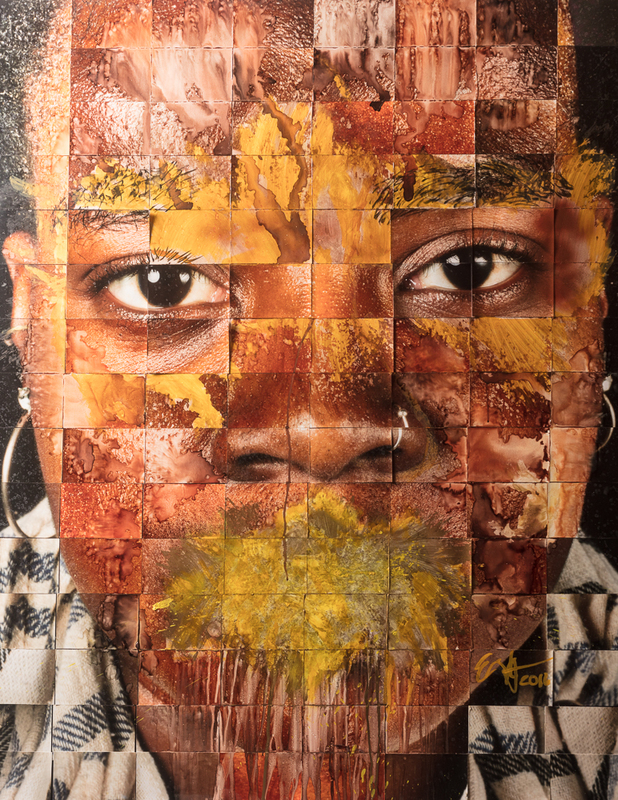 The Diane Dammeyer Fellowship in Photographic Arts and Social Issues creates a space for a socially engaged photographer to produce a compelling and dynamic body of work highlighting human rights and social issues. 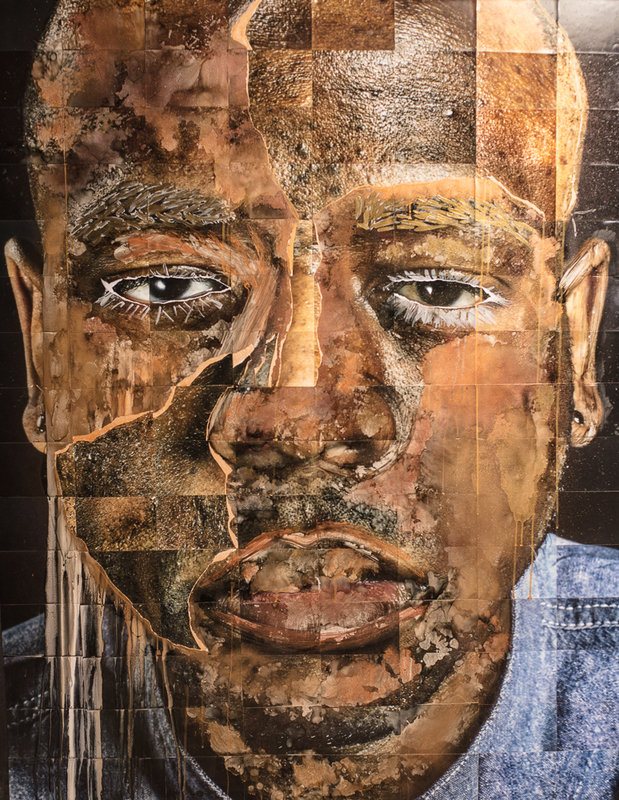 Most recently Ervin has exhibited all across the United States, most notably with Blue Sky Gallery in Portland and Arnika Dawkins Gallery in Atlanta and also Detroit’s Wright Museum. He was recently chosen as of one of the 2017 Critical Mass finalists.